Greetings! 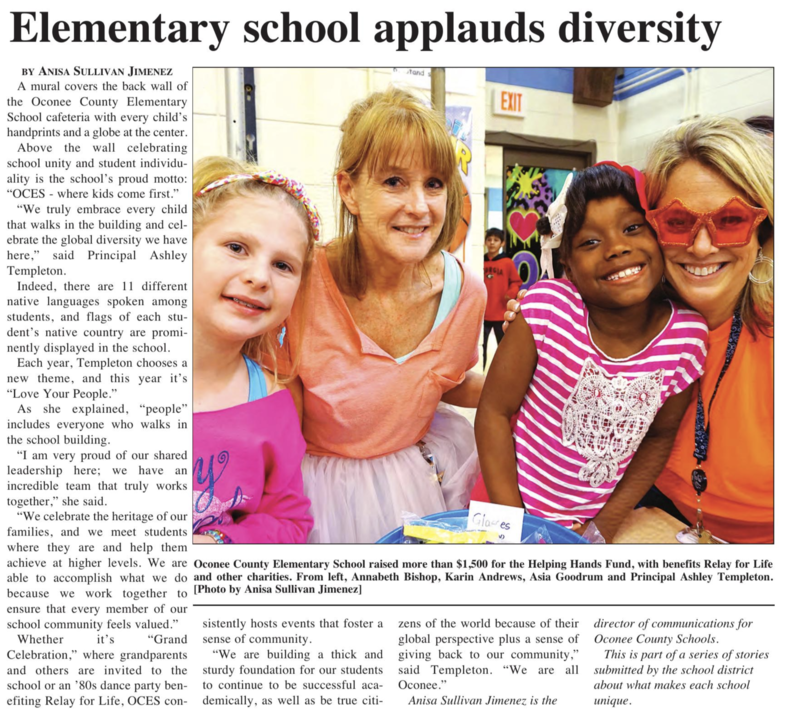 My name is Lisa Backs, and I am the Art Teacher at OCES. I am from Two Rivers, Wisconsin, which is a small town located by Green Bay. I went to the University of Wisconsin - Oshkosh from 1981-1986. I began my teaching career with the Atlanta Public School System, where I taught Art at the K-7 level for seven years. I also taught Art/K-5 in Rockdale County for six years, Art/7-9 grades in Manitowoc, Wisconsin for two years, Art/K-5 in Newton County for five years, and I have been teaching Art/3-5 in Oconee County for eleven. This is my 32nd year of teaching. I have a husband that is an elementary teacher, and I have four grown children, and four grandfurbabies.